One of the newer additions to the British Army’s vehicle fleet is a replacement for the timeless workhorse that was the Land Rover. 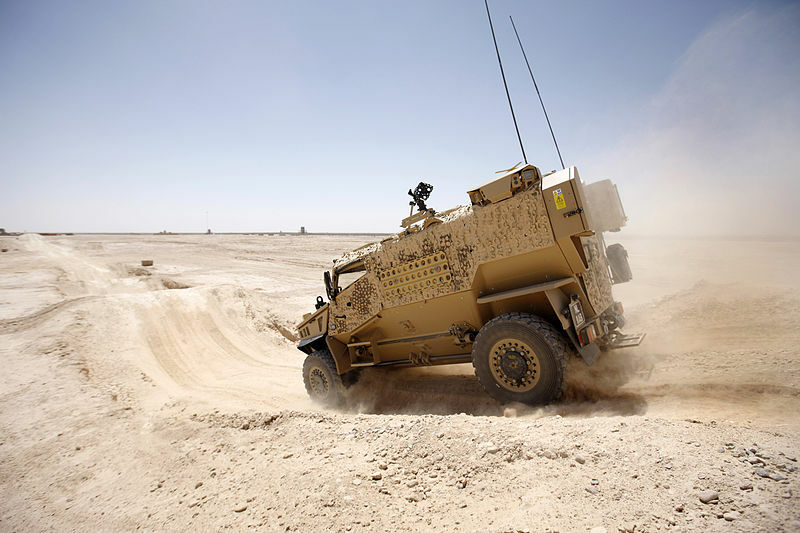 After more than a decade of getting battered and blown up in Afghanistan, the British MoD floated a requirement for a protected armored car that was less robust than an MRAP but strong enough for soaking bomb damage. The work was undertaken by a rare joint venture between Ricardo, an engineering firm specializing in automotive parts, together with a handful of subcontractors and a General Dynamics UK subsidiary. A prototype was ready by 2009 called “Ocelot” that was re-christened the Foxhound Light Protected Patrol Vehicle (LPPV) which entered service in 2011. The first deliveries for 60 vehicles were completed the following year. Unlike so many other armored 4×4’s the Foxhound earned itself a brief combat record to highlight its merits. 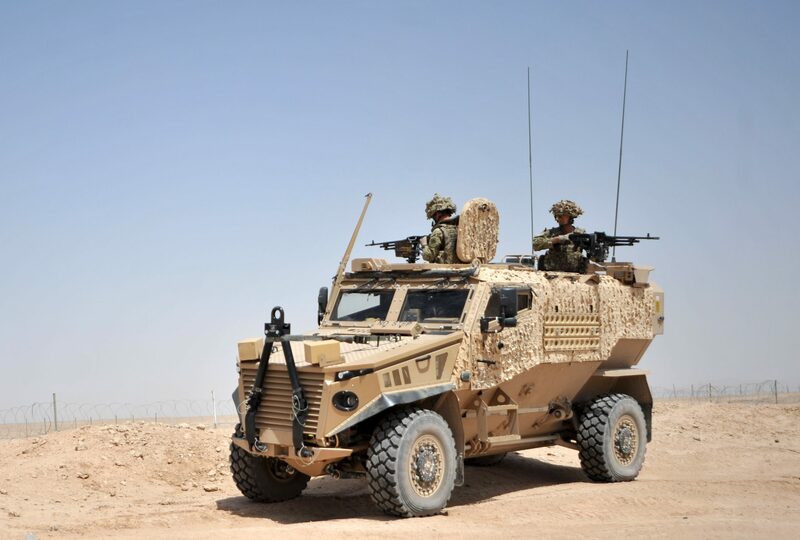 A total of 176 Foxhounds were on order by 2012 and the vehicle is now a battalion-level mainstay with the British Army. The Foxhound’s design seeks to achieve a perfect balance between mass and protection, being light enough for air transport and ready for long-range patrols at a moment’s notice. The Foxhound employs a monocoque V-hull that covers the chassis and drive train. The Foxhound is recognizable for its high ground clearance and prominent grille underneath the sloping hood. 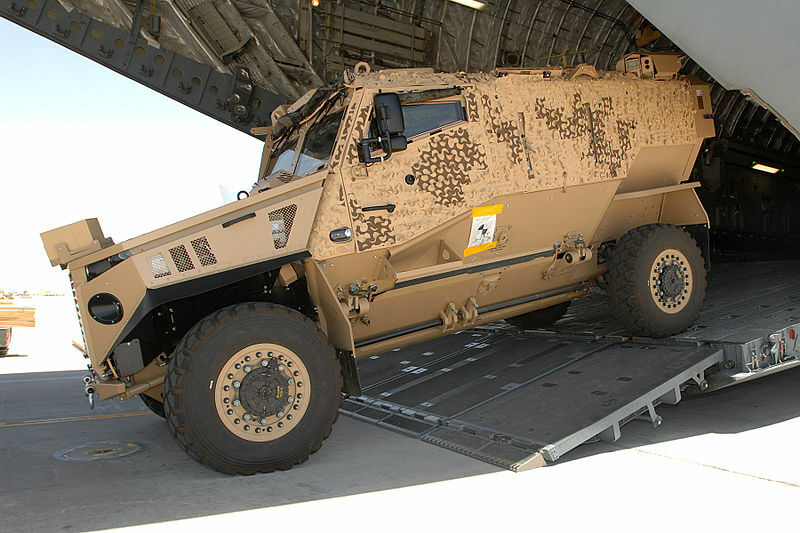 Most Foxhound’s deployed abroad have an A-frame attached to the bumper for towing purposes. Its body is divided into three sections. There’s the engine and its specially designed enclosure, the cab with a bulletproof windshield and windows, and the passenger compartment that seats a half dozen soldiers. There are two roof hatches for allowing troops to observe their surroundings. These could also be utilized as turrets for machine guns like the M2 Browning and the FN MAG. The Foxhound’s top speed is reported to be at 113 kilometers per hour and its protection level makes it impervious from shock waves, blast fragments, and small arms fire. Readers may wonder what its STANAG classification is but this remains withheld from the public record. It’s safe to assume the Foxhound offers at least STANAG III armoring in its cab. In 2014 General Dynamics UK displayed a Foxhound with an open cab and a roofless passenger compartment at an arms show. This was meant to entice buyers looking for an off-road “commando car” alternative for either Range Rovers or the Supacat Jackal. A Foxhound pickup truck was publicized soon after in a bid to enlarge the vehicle’s customer base. There are 300 Foxhounds currently in service with the British Army, who may remain its single biggest customer. In 2017 the MoD set aside more than $1 billion for 2,747 American-made Oshkosh JLTVs. This could marginalize the Foxhounds in the near future but given the expeditionary nature of British military operations, these tough cars may reach more than a few countries still.